In 1936, the ladies of the Junior League of Lexington were giving teas, having chain bridge parties, holding folly performances… doing just about anything that was both tasteful and legal to make a nickel to support their community work programs during the depression. Most of these fundraisers only made about $900, which didn’t go very far at the time, when people where in such desperate need of help. The league president at the time, Mrs. James B. (Marie) Kittrell, got it in her mind there had to be a better way to make money. She thought a horse show would be the perfect fit for the Horse Capital of the World. 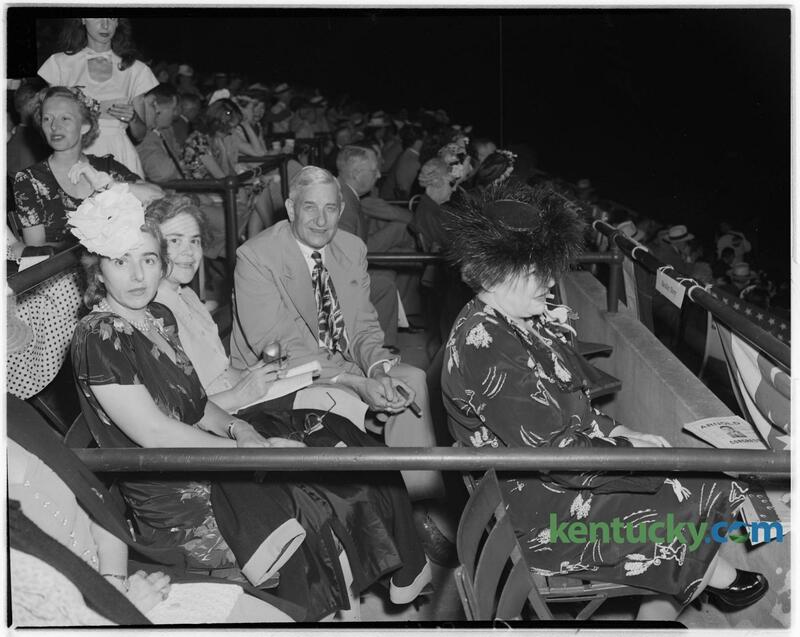 Many local businessmen and League members' husbands told the ladies that it was too expensive and that the Lexington Junior League was too small of an organization to handle hosting a horse show. The operating budget was only $500 and the rest was up to the league member’s hard work. However, with the guidance of local bloodstock agent and horseman, W. Jefferson Harris, the show's first manager, the ladies of the Jr. League were up to the task. The show opened July 22, 1937 with a crowd of 5,000 people, ten thousand dollars in prize money and 216 horses’ from 16 states. After all the bills were paid, everyone was shocked to learn they made roughly around $5,500.00 on the first show. With unanimous approval of the members, the League decided to host a second Show the next year. And thus, the tradition was born! Now, 83 years later, the Lexington Junior League Charity Horse Show is still a prestigious event with regular attendance of around 30,000 people each year and attracts nationally renowned competitors. In fact, the Lexington Jr. League Charity Horse Show is the largest outdoor show for the American Saddlebred in the world. The Show has the honor of being the first leg of the Saddlebred Triple Crown, has generated millions of dollars for charitable and civic organizations in Central Kentucky, and has an impressive yearly economic impact on our local community. In 2018, the show moved from the Red Mile to the Kentucky Horse Park Rolex Arena and were honored to be the UPHA Show of the Year Winner. We thank all our local business and individual citizens for sponsoring our show over the years and hope you will be able to attend the next show which is scheduled for July 8 - 13, 2019 at Kentucky Horse Park’s Rolex Arena.